From the archives of the world's most famous newspaper comes a collection of its very best writing on mathematics. 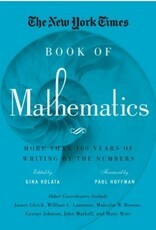 Big and informative, The New York Times Book of Mathematics gathers more than 110 articles written from 1892 to 2010 that cover statistics, coincidences, chaos theory, famous problems, cryptography, computers, and many other topics. 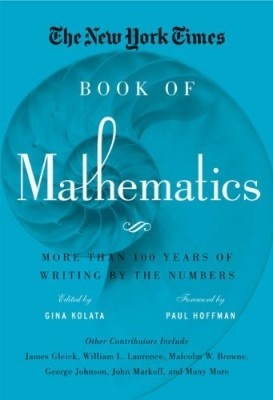 Edited by Pulitzer Prize finalist and senior Times writer Gina Kolata, and featuring renowned contributors such as James Gleick, William L. Laurence, Malcolm W. Browne, George Johnson, and John Markoff, it's a must-have for any math and science enthusiast!